The Atlanta franchise and the player terminate the contract by mutual agreement. According to Adrian Wojnaroswki, he could end up being Marc Gasol's partner. 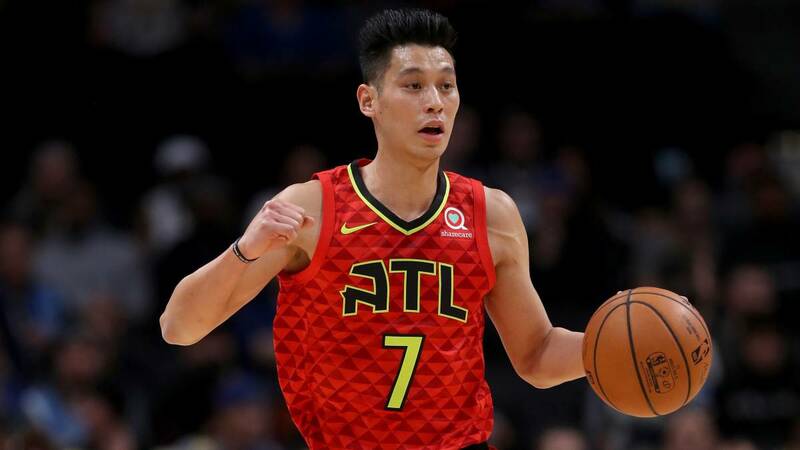 New course change in Jeremy Lin's career after becoming official that he and the Atlanta Hawks have mutually terminated the contract that united them. This was confirmed Adrian Wojnaroswki (ESPN) , who advances that could be part of the Raptors throughout this week. The Californian settled the franchise of Georgia last summer, but has only been titular in one of the 51 games disputed and the lack of minutes has forced him to pack again. It is true that the player came to Atlanta after being a whole course without playing. At that time he wore the Nets shirt and in the opening match broke the patellar tendon, fulfilling the worst of the forecasts for him. This season is playing an average of 19.7 minutes per game, averaging 10.7 points, 2.3 rebounds and 3.5 assists. The only course in which he participated less than 20 minutes per game was in his year of rookie with the Warriors. That was the first of the seven shirts he has defended in his nine seasons in NBA. Gone is his period in Knicks, Rockets, Charlotte, Lakers, Nets and Hawks for this globetrotter, which now points to the Toronto Raptors of Marc Gasol. The player, with a contract of 12.5 million that ends at the end of season, He could make this week in the Canadian franchise, becoming an interesting piece in the rotation. If you are looking for minutes you will have to fight for them, but the dimensions of what your new team can be are very different with respect to the Hawks. With Lin, the Raptors would add another base along with Kyle Lowry and Fred VanVleet, reinforcing the backcourt for the very competitive playoffs that lie ahead in the East.